When it comes to eating complex carbohydrates / complex carbs , one would instantly think of foods like Oats , quinoa and brown rice. But these are not all. There are lot of Indian foods rich in complex carbohydrates. so next time you plan to go on a diet , dont bore your tongue with only the few common ones . Here is a list of variety of Indian foods rich in complex carbohydrates. Most dietitians recommend a low-carb diet to those who are looking to lose weight. 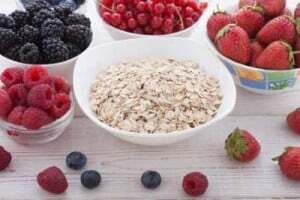 However, carbohydrate is the main source of energy for your body and you need to really check whether you are taking the right amount and the right type of carbohydrates. Processed foods contain carbohydrates that add empty calories to your body and do not have any nutritional value. And when you are instructed to reduce the intake of carbohydrates, you are actually told to reduce or perhaps discontinue the intake of unhealthy carbohydrates such as white bread, sweets, candies, and colas. On the other hand, complex carbohydrates such as brown bread, brown rice, and certain fruits and vegetables contain vital nutrients that help your body to function properly and you definitely need to include them in your daily diet so as to benefit from the intake of a balanced diet. Carbs (glucose) serve as the main fuel for brain. 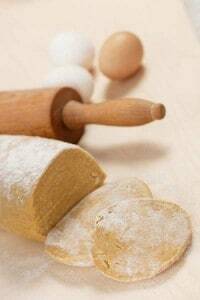 One gram of carbohydrates generates 4 kilo calories. Our body needs 40 to 50 percent of its calories from carbohydrates. Adults need 130 grams of carbohydrates daily to maintain a healthy body. Serotonin is a chemical secreted by the brain which controls our appetite and our emotions too. Serotonin is secreted in our body only after the consumption of sweet and starchy foods. This explains why we feel so satisfied after eating 1 chapati / bread or 1 bowl of rice. Serotonin helps in suppressing hunger . It helps you in feeling satisfied / full, even when you have not eaten sufficient food. Thus Serotonin helps in weight loss routine. Now you know why you feel low , dull and depressed while on a strict diet which does not provide much carbs. A simple tip to trick your body to suppress hunger is by having Any of these Indian foods rich in complex carbohydrates like salads or a fruit 20 minutes before your main course. It takes 20 mins for the brain to produce serotonin and send across the message to your body that stomach is full. this way you can reduce your appetite, avoid overeating and cut down on your food intake easily, resulting is weight loss. 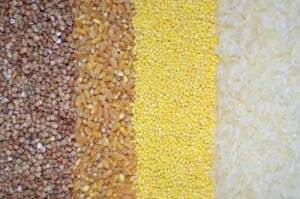 Whole grains are rich in complex carbs and dietary fiber. Additionally, whole grains contain bran and endosperm that supply vital nutrients to the body. Brown rice is a source of complex carbohydrates and it contains a lot of dietary fiber which aids in digestion. Some whole grains may have more amounts of stronger disease fighting compounds compared to many typical veggies and fruits. Whole grains are also an essential part of weight loss diets. Oats and rye contain high amounts of dietary fiber, iron, protein, zinc, and B vitamins. Starting your day with a bowl of oats and milk is one of the best ways to include whole grains in your diet. Potatoes are the most favorite and most commonly used Indian foods rich in complex carbohydrates. Potatoes contain high amounts of starch, potassium, fibers, iron, and vitamins C and B6. One cup of boiled potatoes will give you 31 grams of carbohydrates and hash browns contain 35 percent carbohydrates. One medium sized potato has 110 calories and these are healthy calories given the fact that potatoes do not contain fat, sodium, or cholesterol. Citrus fruits are the most tasty and tangy Indian foods rich in complex carbohydrates. These fruits are rich sources of dietary fibers, minerals, and vitamins which support health functioning of the body. Carbohydrates constitute the main energy boosting ingredient in citrus fruits and they are present in the form of sucrose, fructose, and glucose. Additionally, citrus fruits contain high amounts of dietary fiber which supports the body’s digestion process. 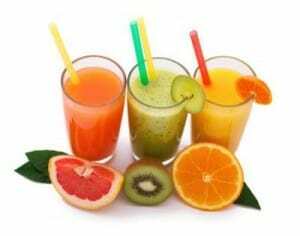 Lemon, lime , oranges , sweet lime and grape fruits tremendously help in weight loss . 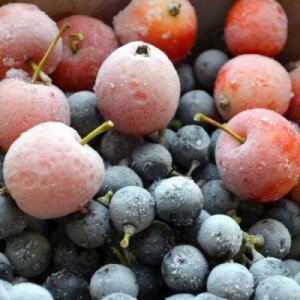 Berries are loaded with antioxidants and carbohydrates. One cup of blueberries contains 21 grams of carbohydrates. 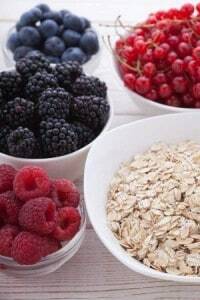 Rich in pro-anthocyanin natural pigments, berries are noted for being strong antioxidants and for their roles in reducing the risk of cancer and other diseases. 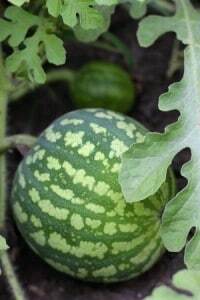 A low-calorie carb, watermelons have high water content and they are rich sources of vitamin C and vitamin A. While vitamin C is a skin vitamin, vitamin A promotes eye health by preventing cataract and improving eye sight. There are about 5.5 grams of carbs in ½ cup of diced watermelons. water melon and other variety of melon fruits are best natural appetite suppressants. Apples, which are delicious snacking options for weight watchers and health conscious individuals, contain high amounts of healthy carbohydrates. 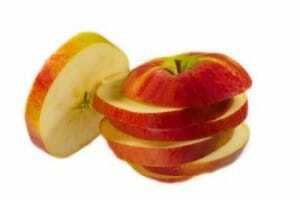 One apple contains 23 grams of carbohydrates and 8 Oz. of apple juice contains 30 grams of carbs. Besides, Apples also contain loads of antioxidants and phyto nutrients that support health. Sweet potatoes are rich sources of carbohydrates and 8 ounces of sweet potatoes produces 240 calories and 55 grams of carbs. Sweet potatoes have very low sodium, cholesterol, and saturated fat content. Besides, sweet potatoes have high amounts of dietary fiber, potassium, manganese, and vitamins B5, A, and C.
Legumes have high amounts of proteins which make them good food sources and replacements for animal meat in terms of food value. Nuts and legumes have high amounts of complex carbohydrates and they also contain omega 3 fatty acids, minerals, and vitamins. They also contain a lot of fiber which promotes digestion and helps to maintain a healthy weight. 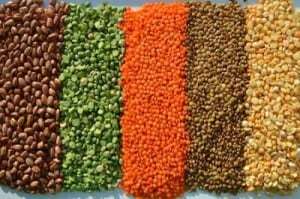 Some important and most commonly used nuts and legumes include chick peas, soybeans, pinto beans, split peas, lentils, pinto beans, and kidney beans. Kiwis, dates, and prunes contain high amounts of carbohydrates, vitamins, and fibers. Dried apples, prunes, and bananas contain 88 percent of carbohydrates whereas dried peaches, raisins, and apricots contain 75 percent of carbohydrates. While dried fruits can be an “any time” delicious snacking option, you can creatively use them to enhance the taste and look of your dishes. Sprinkle dry fruits in salads or baked desserts to enjoy them to the fullest. Bananas have a high fiber and potassium content and one banana contains 24 grams carbs. 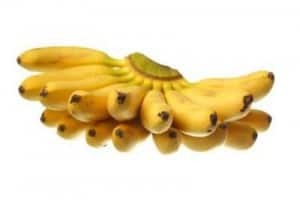 Bananas are also loaded with vitamin C, fiber, and vitamin B6. You can enjoy bananas in many different ways. Enjoy them in your milk shakes and yoghurts or include them in your oatmeal breakfast to kickstart your day with loads of energy. Create fruit salads and relish the taste of mixed fruits whenever your sweet tooth demands a treat. With more and more people shifting into a go-brown food philosophy, brown bread has emerged as one of the healthiest breakfast options in the modern day. Breads are rich in carbs, vitamins, and minerals, and brown breads have high dietary fiber content which keeps you full for long, preventing hunger pangs and helping you maintain your body weight. They are low in fat and cholesterol. Green vegetables have high amount of minerals and vitamins and they are rich in carbs as well. Though some veggies contain some amounts of simple carbohydrates, they are not harmful and provide the maximum health benefits because of their high nutritional value. Include peas, asparagus, acorn squash and broccoli in your diet. You may also try out various salad recipes as well as main course dishes with cucumbers, okra, beans, spinach, and zucchini. End Note: These Indian foods rich in complex carbohydrates offer maximum health benefits along with nutritional value. All you need to do is to practice healthy cooking habits and you will take a step towards a healthier lifestyle while being able to speak good about your roots to the rest of the world. Hi I am trying to get a good body, my overall weight is 85 KG and height is 6 feet how much weight i have to reduce and what diet i have to follow. I am having high blood sugar at 148 fasting. I want to build muscle which is deteriorated. hmm .. poha and idli yes , but sheera is not complex carb ..
Hi Payal..while discussing potassium… One of my friends started listing the benefits of coconut……she told me that we should use it within half n hour… ie after breaking….what is the significance…..?! coconut is v beneficial when used in raw form… But trouble starts when you cook….she then went on to say that… My father used to say something like…. Good cholesterol and bad cholesterol…. Payal! Something on this line please…. Is daliya a complex carb? Okay to have in a low carb diet? If yes, how much? My fast sugar is 89 and 2 hours after meal it is 233. Can you suggest specific diet for me? I am vegetarian. Hi payal I have border hypo dibetic. My doctor prescribed me to take high complex food in the intervals morning 8 am , 12 pm ,5 pm . I’m not aware of complex food available in india kindly help me out .it will be a great help . Thanks in advance. you can choose from the food list provided above in the article. Im a cricket player i want to gain some weight and strengthen the muscles….wht diet should i follow….?? Mam I stay in hostel i want to gain weight m so thin my parents r woot that i m not gaining weight plz tell me how to gain weight staying up at hostel…..
https://www.dietburrp.com/indian-diet-plan-for-gout/ check this diet plan . this is really effective in getting the uric acid levels in control. Thank you for reading at dietburrp . we would love to be of help to you . we do have personalized diet services , where we plan the weight loss diet based on a persons requirements , lifestyle , food patterns , timings and convenience . i am also mailing you the details . you can write back to us if interested . Very useful article with in-depth study on diabetes n diet plan containing calories. I like very much on d complex carbohydrate part. I’m a type2 diabetic n my doctor advised me 2200 calories Indian food. I will be happy to receive ur feedback. Thanks Mam. sir , what is your height and weight ? and current sugar level , pp and fasting . Many many thanks. Waiting. Im a retired Professora aged 63. I do morning n evening exercise @ one hr.,yiga, meditation. Add 5 green veg in my meal with nuts n sprout. I have high bp, thyroid , glaucoma (all controlled). Im spiritual . Thanks. Hello Madam, need your advice for food to be eaten for my father aged 84yrs diagnosed with mild fatty lever with low serum Albumin because of that swelling appears on both legs, lower abdomen & ranches on whole body. Also has fluid retention issue. He is an high BP patient with carotid stenosis on both side. Apart from BP tablets taking ecosprin, clopiradgel & atorva tablet. for water retension , basically salt needs to be avoided . give him lona salt or rock salt / sendha namak , instead of regular salt . give him barley flour rotis if he can chew . if not , give him barley water , this helps a lot in water retention . Thank you for the well described article..
I’m 21 year old & my height and weight is 5’5 inc. , 44kg respectively..
As I am underweight which healthy diet should be follow for gaining healthy weight? Could you please share the list of complex carbs, which can take with type 1 diabetes? Hi, I’m 43 years old, last year I got hysterectomy surgery, after that my weight is increasing. While doing workout also I feel very much tiered. Before surgery I was not like this.. please suggest me how to get my energy back. https://www.dietburrp.com/indian-diet-plan-after-hysterectomy-surgery-recovery-foods-to-eat-and-avoid/ please check this plan , it ill help you with all the problems that you had stated.